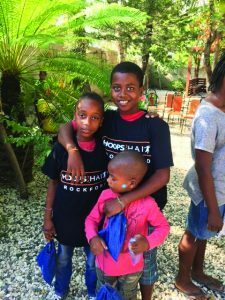 On behalf of the Rockford Basketball Program, I would like to invite you to support our ninth annual “Hoops for Haiti” event at Rockford High School. 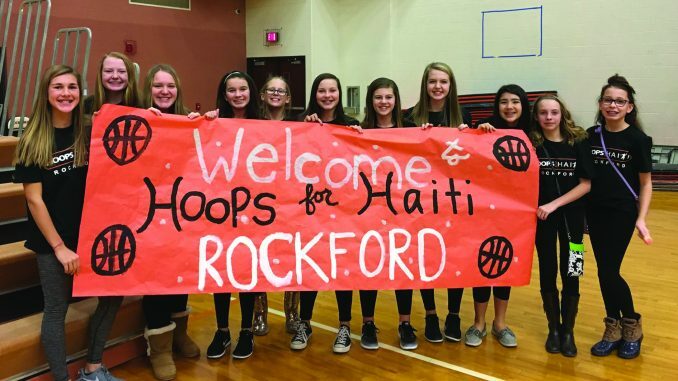 On Friday, January 19th “Hoops for Haiti” will take place during the Rockford Boys and Girls Basketball games. To make this evening a success, we are asking for some community support. In addition to this, if you’d like to make a donation to the event’s silent auction it would be greatly appreciated. All proceeds will go to the work a team from Rockford will be doing with the Haiti Foundation Against Poverty (www.haitipoverty.org ) this summer. 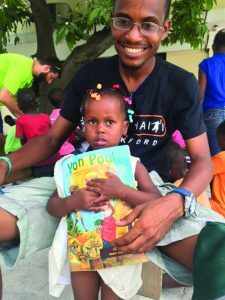 In past years, the money raised went to buy books for Rockford’s sister school, Les Bours School of Hope, as well as to provide professional development to the school’s teachers. The team was also able to provide chickens to families, conduct VBS for neighborhood children who do not have the opportunity to attend school, build beds for families previously sleeping on crushed concrete, and volunteer at orphanages and adult care facilities started by Mother Theresa.